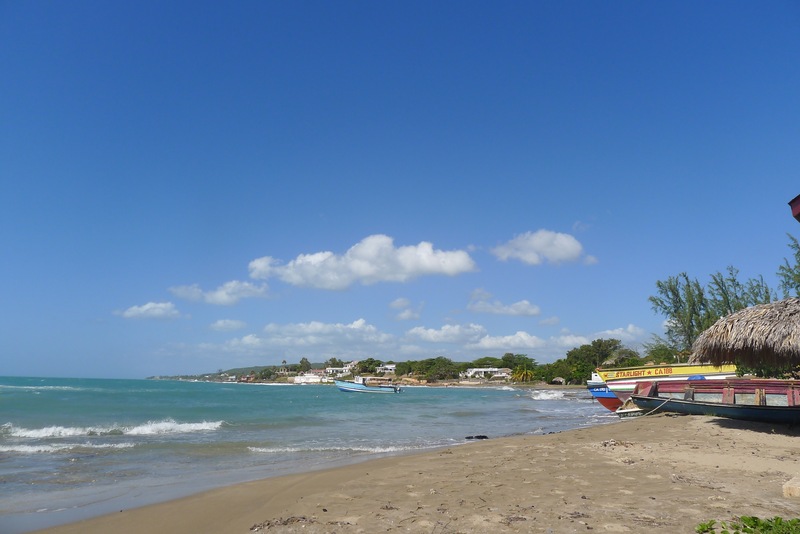 Here’s part 2 of our two part post on the top 10 absolutely must do things in Portland (or “Porti” as we say in Jamaica), one of our favourite Jamaican parishes. Please add your top spots to our list! Part 1 is here. 5. Have a drink at Geejam’s Bushbar. The Bushbar is the über-chic bar/restaurant at Geejam, Porti’s ultra luxurious chill out spot for the Hollywood jet set (recent guests include Tom Cruise, Amy Winehouse, Sharon Stone, Naomi Campbell, and more…). 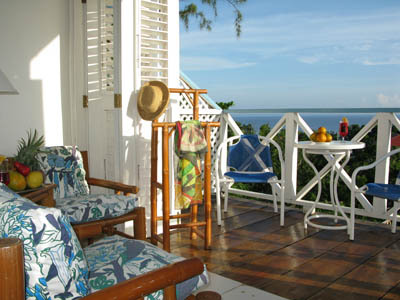 Geejam, which calls itself simply “a private hotel”, offers guests Jamaican country-style luxury and up-scale relaxation. 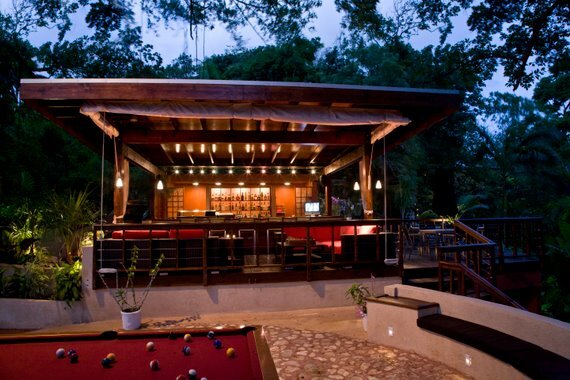 The Bushbar features an outdoor pool table and a forest-to-ocean view that’s hard to imagine until you’ve seen it in person. The menu consists of Jamaican and Asian-influenced dishes with global appeal. The service is top notch and reflects the friendly and down to earth attitude synonymous with Island Outpost properties. 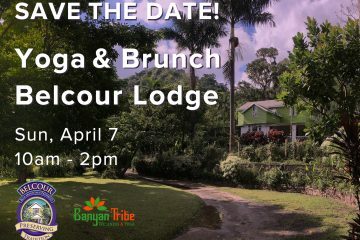 Be sure to make a reservation for breakfast, lunch, dinner or just to lounge and have cocktails www.geejamhotel.com+1-876-993-7000. 6. Have a burger for lunch at Woody’s Low Bridge Place. 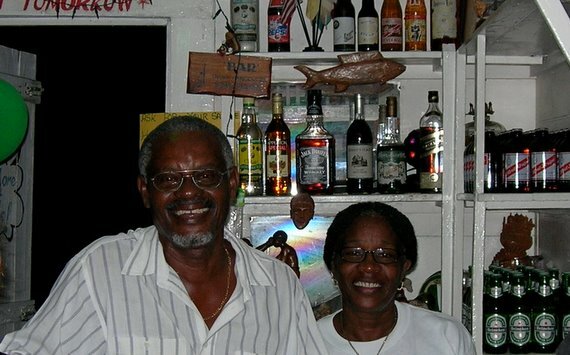 Woody’s Low Bridge Place, located just east of Port Antonio on the main road, is a popular local restaurant and bar and has been a Porti food staple since 1986. Woody’s specializes in homemade burgers made entirely from local ingredients. Run by Charles “Woody” Cousins and his wife Cherry, Woody’s food is cooked to order and is delicious! My favourite is the veggie burger, not only because it’s often hard to find good veggie fare in rural Jamaica, but also because they taste yum! For some musical entertainment ask Woody (who is also a great reggae singer) to play you (and then sell you) his reggae CD featuring his top tunes. You might even be able to convince him to do a live rendition for you. 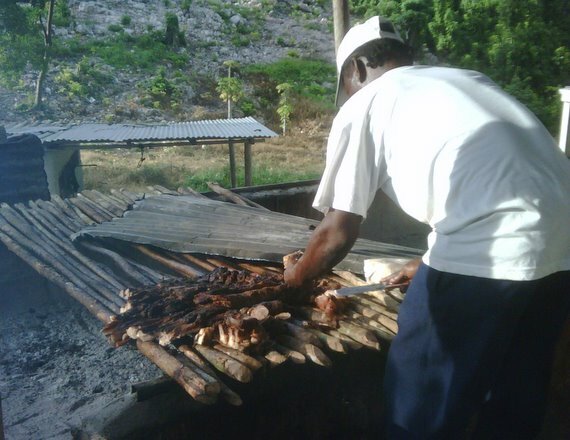 The rum punch and jerk seasoning are also a must try! 7. Check out the surf at Long Bay Beach. Long Bay is located approximately 30 minutes east of Port Antonio and the beach is a wide stretch of white sand about a mile long. Relatively uncrowded, Long Bay Beach offers a laid back vibe typical of Portland. Although there are a few vendors, harassment here is almost non-existent, and tourists and locals alike enjoy themselves without the usual barrage of incitements. 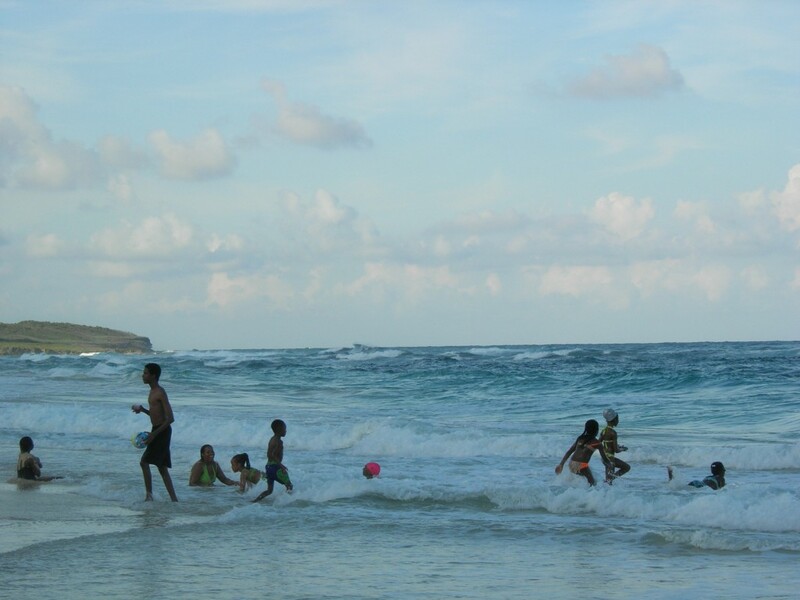 The ocean here can have more of a surf than other popular beaches, which makes Long Bay a popular spot for body surfers (but be warned there are dangerous currents which can make swimming ill-advised). The beach has various bars and food spots along its length, the best known of which is probably Chill Out, whose menu includes a delectable seafood pizza made from scratch. 8. Eat Jerk at Boston. Jamaica is literally littered with jerk spots that jerk just about everything imaginable (pork, chicken, fish, sausage, etc.) but Boston is where it all began, and so a visit to Portland wouldn’t be complete without a visit to the birthplace of the Jamaican culinary sensation. 9. Stay at Portland’s number one eco-tourism hotel, Mocking Bird Hill Hotel. 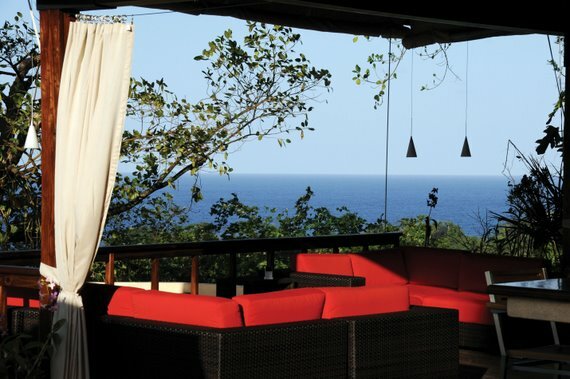 This small intimate 10-room boutique hotel can best be described as “eco-chic”. Hidden away in 6½ acres of tropical gardens in the hills 15 minutes outside of Port Antonio, Green Globe certified Mocking Bird Hill offers its guests an environmentally-friendly R&R experience combined with luxury trimmings. 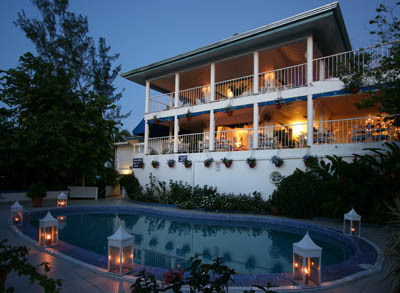 Owner operated, this hotel combines an informal laid back vibe with Jamaica’s traditional charm. From their hillside location, guests have easy access to the surrounding beaches and other Portland attractions. The gardens of the property showcase Jamaica’s unique biodiversity. Ideal for birdwatching, the gardens attract more than 40 species of birds endemic to Jamaica, some of them endangered, and is considered to be one of the best places for bird-watching in Jamaica. As proof of their comitment to environmental sustainability, the hotel uses solar energy, catches rainwater, runs a chlorine free pool using renewable energy, and uses no insecticides or pesticides in their gardens. Fore more information www.hotelmockingbirdhill.com. 10. Catch the Jolly Boys in concert. OK. firstly a disclaimer- the Jolly Boys may not actually be performing in Portland when you get there, buy they are a Port Antonio institution. 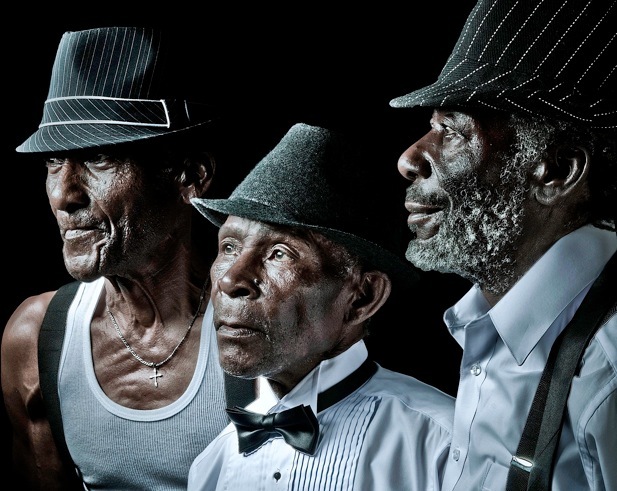 This mento band has been playing in and around Port Antonio for the past 60 years, since the early 1950’s when they played for the likes of Errol Flynn and his entourage of movie-star friends. 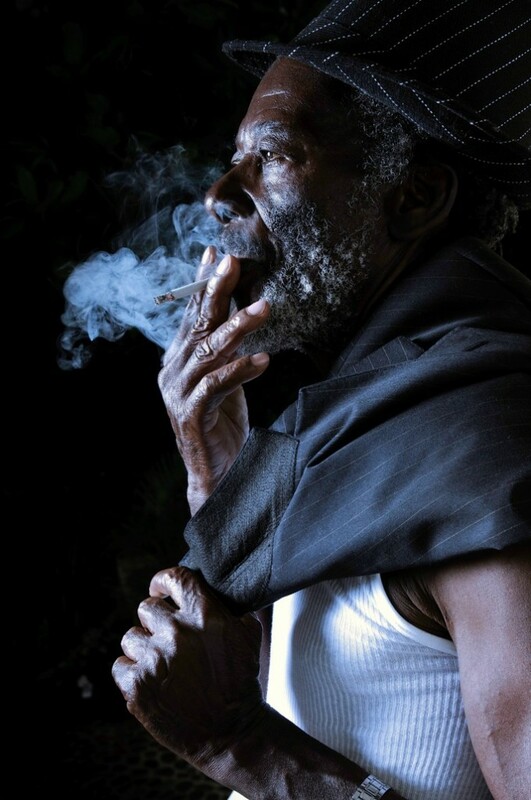 (mento is Jamaican traditional music, similar to calypso, and precedes reggae, rock-steady and ska). 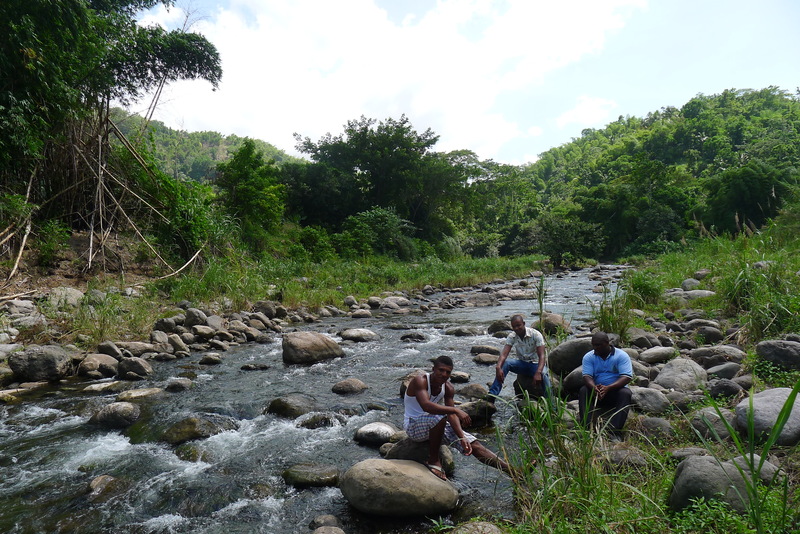 The Jolly Boys were THE band in Port Antonio. 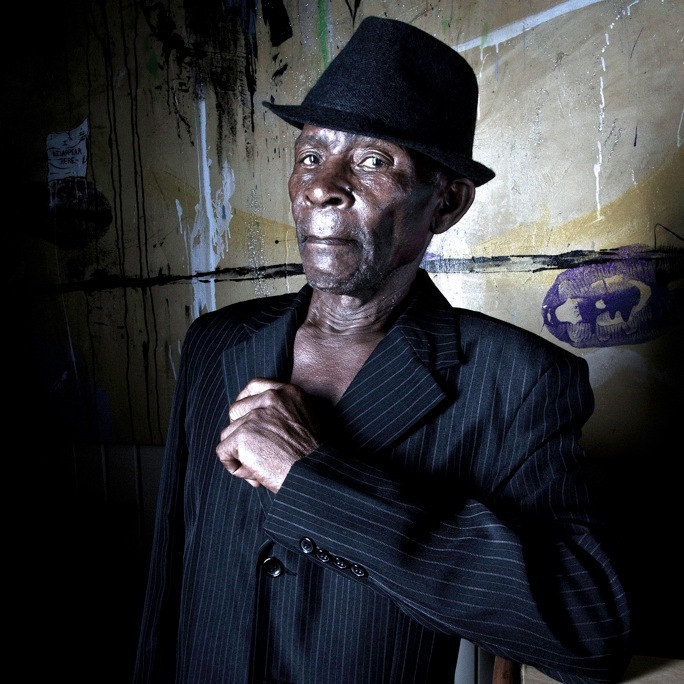 The group, led by Albert Minott, are now all over 70 and have lately experienced a revival of their music thanks in large part to Geejam owner Jon Baker who has produced their new album Great Expectation, launched earlier this year in Kingston. This album re-introduces the Jolly Boys to a new generation and showcases their current musical direction, “modern mento” – a combination of their vintage mento songs and covers of modern rock/pop hits taken from groups such as the Clash, the Rolling Stones, the Doors and Amy Winehouse. The group has been on tour of Europe since August 2010, so catch them if you can wherever you can find them. For more on the www.jollyboysmusic.com. Photos were shot by Tkae Mendez with styling by Charl Baker on location at Alligator Head, Portland. I find this site usefull to i need some exposure because we are a new business in portland. And what we are offering is the ultimate spa and sauna experience. Superb, what a web site it is! Thiss blo provides helpful data tto us, keep iit up. If you’re close to your subject back up and zoom in instead. that your video camera is completely nonetheless in the course of that time. Love this! The portraits are wonderful. Good to see some of our ‘Golden Agers” performing & hopefully having fun. Portland is my fav. parish; longing to visit. Great, thanks for the information on Portland !! You’re welcome! I hope you can get to do some of these! I’ve been to Long Bay Beach and I’ve eaten jerk at Boston- really good.